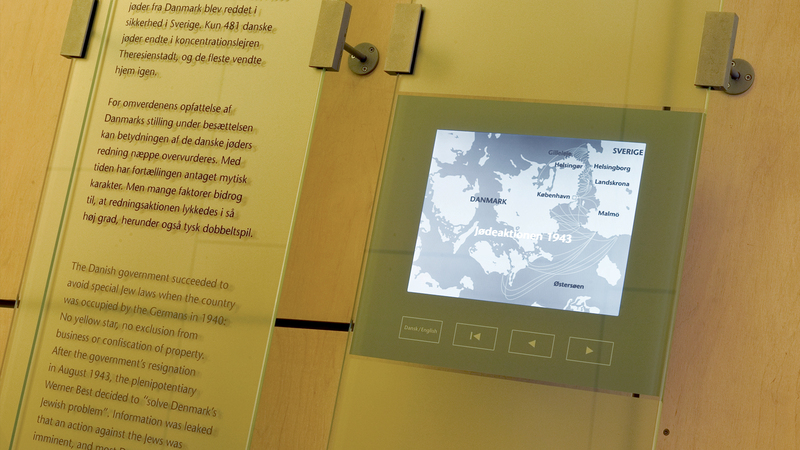 Interactive display system constructed with flat screen mounted to reverse of a tempered glass plate. No direct contact with screen, thereby extending the display system’s service life and making cleaning easier. Compact HD player executes the programs. The solution can also be implemented in large-scale poster formats mounted on glass.